On the previous KBS’ Music Bank – Stardus, EXO talked over about music video and the choreography of their newest single ‘Call Me Baby’. 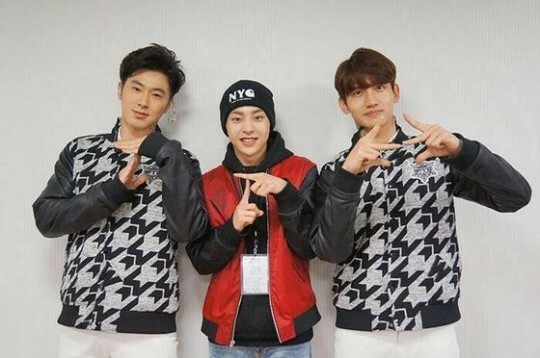 In the segment, the oldest member Xiumin made a statement about the legendary boy band which also EXO’s senior in the agency, TVXQ. “I’ve been a big fans of TVXQ since my pre-debut times until now. I think, there’s no EXO if there was no TVXQ before.’ He also added that his favorite song of the duo is Rising Sun. The other members said that Xiumin is a real Cassiopeia. The song of TVXQ can be found on his mp3 player as a proof. He even flew over to Japan to watch Yunho & Changmin’s performance last month on TVXQ WITH Tour Japan Live Concert.